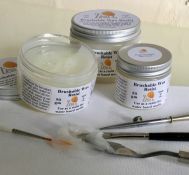 Reduces the consistency and enhances the flow of your oil paint. Reduces the consistency and enhances the flow of your oil paint. Larger sizes available on request.